Earn the Newbie, Sprinter, and Head to Head badges to get your first Trophy. 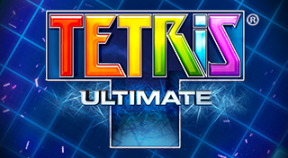 Celebrate the Tetris® 30th Anniversary by earning 30 Lines!, 30 Tetris™! and Friendly 30! Badges. Work on your high scores by earning the Top Dog, Self Motivation, and Personal Best badges. Up for a challenge? Earn the First Mission, Relay Race, and Obedient badges. Earn the Hot Dog!, Absolute Power, and Line Delivery badges to become the Ultimate Battler. Play is more fun with Power. Earn the Horse Play, Cut to Size, and The Haunting badges to get this trophy. Stop the battling. Sing Kumbaya and earn the Group Think, Party Animal, and Power Couple badges. Be good at all the things! Earn the Spice of Life, Socialite, and Aficionado badges! Earn the Longevity, Crushed it!, and Mt Olympus badges, but then go play outside. Be your best Tetris® Self. Earn the Strategist, Generous, and Shooting Star badges. Be speedy! Earn the TPM, 60 Second Sprint, and LPM badges. For Tetris® Masters only. Earn the Show-off, T-Spinner, and Simply the Best badges.